Only a few decades ago, people would have called you crazy to suggest you could drive your car beyond the 200,000-mile mark. 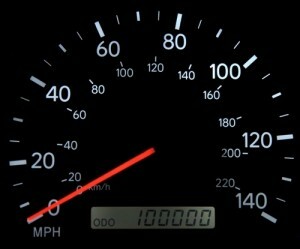 In fact, most cars manufactured in the 60s and 70s had odometers that reset to zero after 99,999 miles. Thankfully, modern improvements in powertrain technology, rust prevention, and more allow today’s cars to easily reach six-figure mileage before they must be retired. Consumer Reports estimates that it takes about 15 years for the average motorist to drive 200,000 miles, but Allstate says the average life of cars and trucks on US roads is less than 12 years. While this is a significantly longer length of ownership than a decade ago, it may not be enough to reach your 200,000-mile goal. To make your car last longer than average, you must be willing to invest in it. Even considering the amount you spend to keep it running, you could save thousands of dollars by avoiding the need to buy a new vehicle for a decade and a half. Here are the tips you need to help your car go the distance. You can coax just about any car to reach 200,000 miles, but the patience and cost may not be worth it for some vehicles. The trick is to purchase a make and model with a reliable track record. You should also choose a style of car you can live with for a long time. Don’t compromise or buy less than you need. After all, for this relationship to last, you must enjoy driving your car. Check your owner’s manual to identify milestones for having the oil and filter changed, spark plugs swapped out, and timing belt replaced. Even if you’ve neglected your car for a few years, it’s not too late for a fresh start. Come to Scott’s Fort Collins Auto for a thorough inspection and to take care of all your vehicle’s outstanding problems. Even if your car doesn’t make it to 200,000 miles, this new dedication to a better maintenance schedule will certainly help it last longer. Saving a few bucks by choosing cheap parts and fluids could cost you in the long run. To be safe, only use parts and fluids from name-brand suppliers that meet manufacturer specifications. When it comes to fuel, paying for premium gas is only worth it if the owner’s manual says you should. Less than 30 percent of vehicles on US roads need mid-grade or premium gas, and these are usually luxury cars with turbocharging or supercharging technology. Even with routine maintenance, problems can still arise suddenly. To prevent being stranded on the side of the road, learn to check under the hood for frayed or cracked belts, bulging hoses, evidence of leaks, low fluid levels, and any odd noises or odors that indicate something’s wrong. Keep an eye out for dashboard warning lights and listen for strange sounds from your brakes, suspension, or engine while on the road. When in doubt, bring your car to Scott’s right away to have it checked out. Hard stops and starts don’t just hurt your fuel economy – they also create unnecessary wear and tear on your car. Curbing your need for speed and the desire to show off will help your vehicle run longer. The cost of a repair is more than the car is worth. In other words, it’s totaled. Rust has compromised the car’s structural integrity. Frequent repairs are adding up. A flood, fire, or serious accident has damaged the car beyond repair. Our experienced mechanics can help you reach your 200,000-mile goal. Choose us for everything from routine tune-ups and oil changes to accident repairs and engine overhauls. When you’re ready, schedule an appointment online or give us a call at (970) 682-4202 to let us know when you’ll be stopping by.